It’s Springtime at Wayward Seed! We are gearing up for our first outdoor plantings of the year here at Wayward Seed Farm. 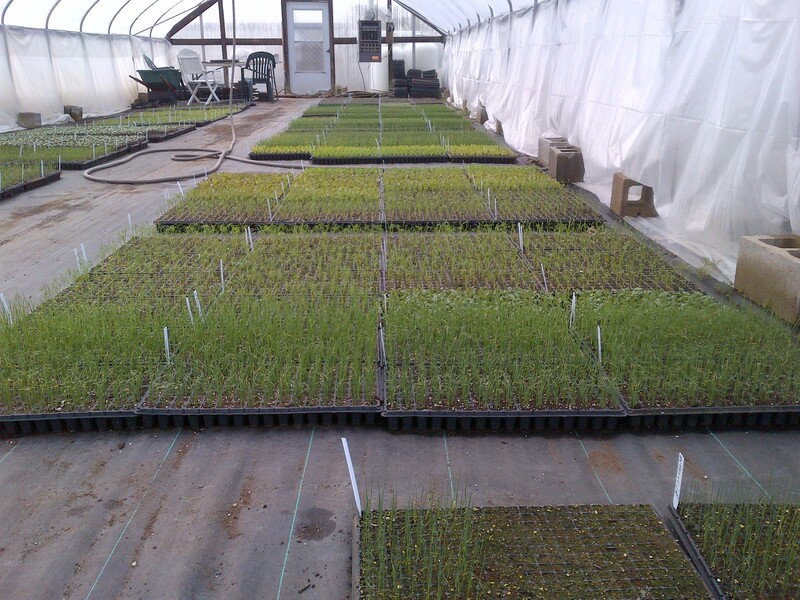 It has been a cold but productive March and the greenhouse is loaded with plants ready for transplant. We have a large amount of cauliflower and summer green cabbage that we are going to try for the spring planting. Cauliflower doesn’t always head well in Ohio’s hot Spring weather, but we wanted to give it a try in our most fertile field. The rich, moist field behind the facility always gives the plants a good head start, so cross your fingers for some big, June cauliflower. Adam Utley has been busy preparing our facility for returning workers and our new work share members. The equipment is repaired, oiled and ready to fire up. The first head lettuces will be transplanted on Friday if we can get a few more windy days to dry out the raised beds. We’ll also see if our local deer herd will be on hand to observe our lettuce plants as early season appetizers. Our first work shares start on April 15th and we are very pleased with the initial response to the program. Seven members have joined the work share team. If possible, WSF would like an additional five work share members. We will post the details of the program again, hoping to spur more interest from the community. It is an exciting moment for the farm. We are maturing as an operation and increased interaction with our member community is a rewarding facet of Wayward Seed’s development. PS: For those of you counting, our first CSA shares will be delivered in just 10 weeks!